Sulfonic acid-based precursors (SAP) play an important role in tailoring mesoporous silica’s and convert them to a solid acid catalyst with a Bronsted-type nature. These kinds of solid acids contribute to sustainable and green chemistry by their heterogeneous, recyclable, and high efficiency features. Therefore, knowing the properties and reactivity of SAPs can guide us to manufacture a sulfonated mesostructures compatible with reaction type and conditions. In the present review, some of the important SAPs, their reactivity and mechanism of functionalization are discussed. As our ongoing research interest in the development of catalytic applications of mesoporous silica materials [1-7], we recently discussed and reviewed organocatalysts supported inside the mesopores . Herein, we aimed to review recent advances in catalytic applications of sulfonic acid-based mesostructures in a comprehensive paper. Primary reports on sulfonic acid-based precursors go back to 1998 [8-10], in which the earliest versions of SAPs in mesoporous silicas were prepared by two general routes: 1) post-functionalization of mesoporous silica with 3-mercaptopropyltrimethoxysilane (MPTS) (M1) and 2) co-condensation of MPTS and silica source, specifically tetra-ethyl/methylorthosilicate (TEOS and TMOS, respectively) (M2). Here, the final key step to produce SAPs was to oxidate the thiol groups to sulphonic acid using H2O2. Generally, four methods have been developed for preparation of SAPs and functionalization of mesoporous silica materials which are depicted in Scheme 1. So far, many developments have been performed by various research groups [8-18]. For instance, enhancing the capacity of MPTS loading by coating method , Co-condensation method by using TMOS rather than TEOS , and replacing calcination with extraction . Most of the sulfonic acid based silica mesopores (SASM) were primarily employed in biomass production [8-10,17,19]. In 2006, Melero and coworkers  extensively reviewed and discussed the advances, developments, and catalytic applications of organosulfonic acid-based mesopores in 1998-2006. They also overviewed new types of sulfonating agents such as sultones and various perfluoroalkyl chains which can be as the key SAPs for the synthesis of SASMs (Scheme 1). In that review, the recent advances in the area of sulfonic acid based nonporous silica were discussed by details. Propylsulfonic acid-based precursor (SprAP) is the earliest type of SAPs which can be obtained by functionalization of MPTS and further oxidation of it. SprAP is a most common and available precursor extensively used in various catalytic applications. It was first incorporated into MCM-type mesostructures by some pioneering groups in 1998 [8-10]. Rhijn and coworkers  used MCM type mesostructure as a catalyst for the synthesis of 2,2-bis(5-methylfuryl)propane obtained from condensation of acetone and 2-methylfuran. They also applied it in the esterification of D-sorbitol with lauric acid . Then, Jacobs et al. disclosed the synthesis of monolaurin through direct esterification of glycerol with lauric acid over reusable MCM-41 and HMS-Pr-SO3H which were far more active than H-USY zeolite and even than commercial sulfonic-acid resins. Mahdavinia and Sepehrian reported the three-component synthesis of 3,4-dihydropyrimidinones (DHP) using MCM-41-Pr-SO3H as a mild heterogeneous catalyst through Biginelli reaction (Scheme 2) . So far, a wide range of catalytic applications have been developed by mesoporous silica-propyl-SO3H (Meso-Pr-SO3H) with no further modifications or improvements. Since explaining all of them by details is overwhelming, we schematically illustrate some of them in Scheme 2. Synthesis of polyhydroquinoline derivatives , β-amino carbonyls synthesis (Mannich reaction) , Xanthenes and bis (indolyl)methanes syntheses  and Fries rearrangement , Beckmann rearrangement , multicomponent synthesis of spiro[indole-tetrahydropyrano (2,3-d) pyrimidine] derivatives , synthesis of benzoxazole derivatives , synthesis of 4-phenyl-1,3-dioxane , synthesis of chromenes from chromanols , esterification of salicylic acid with dimethyl carbonate , oxidation of sulphides to sulfoxide , trimethylsilylation of alcohols , etc. [34-38] are of these examples (Scheme 2). Very recently, Ziarani and co-workers extensively reviewed the catalytic applications of SprAP functionalized silica SBA-15 (SBA-15-Pr-SO3H). SBA-15 was first synthesized by Zhao et al. in 1998 . This mesoporous silica was found to be powerful tool as a support for functionalization and modification. SBA-15-Pr-SO3H is extensively used as catalyst in many types of organic reactions such as multicomponent reactions, rearrangements, etc. [34-38]. Silica frameworks in mesostructures have intrinsic hydrophilicity and this hydrophilic character is increased by sulfonic acid groups [40,41]. Hence, adsorption of water during reaction may increase and restrict the transfer of reactants and products and cause deactivation of the catalyst surface . Therefore, incorporation of a hydrophobic motif inside the pores can have a drastic effect on the adsorption and diffusion rates within the mesopores. Consequently, surface reactivity and mass transference will be improved . Alkyl chains and phenyl groups are the most common groups for incorporation on the surface of these acidic groups to enhance the reactivity and water tolerance . Stucky et al. reported the first simultaneous incorporation of a hydrophobic group, methyl groups or benzyl groups, with -SO3H group inside a mesopore SBA-15-Pr-SO3H via co-condensation method. However, they didn't report any catalytic study for their acids. In the same year, Sastre and coworkers  also reported the synthesis of MCM-41-Pr-SO3H simultaneously incorporated with alkyl (methyl) groups. They also optimized the best ratio of MPTS, alkyl group, TMOS, and surfactants to obtain well- ordered mesostructure. Then, they applied this hybrid material in the esterification of glycerol with lauric and oleic acids (1:1 molar ratio). They found that the best yields are obtained when methyl groups are applied inside MCM-41-Pr-SO3H for esterification. Karimi and Zareyee from Iran  enhanced the hydrophobicity within the pore-walls of SBA-15-Pr-SO3H via phenyl and alkyl groups and used it in von Pechmann reaction of phenols and a β-ketoester. The authors claimed that mesochannel possess enough space for the cyclization, and its suitable hydrophobicity causes to drive out the water byproduct (Scheme 3). Recently, we have turned our attention to studying the effect of fluorinated alcohols (FA) on the surface activity of mesoporous silica [2,5,7,46]. Thus, we investigated the the effect of FAs on the catalytic activity of mesoporous silica SBA-15 . We found that in the presence of a FA, surface of SBA-15 acts as a catalyst and therefore it can be incorporated in reactions as a catalyst. Moreover, FAs can increase the mass transfer inside the mesochanells. Then, we studied the effect of FAs on the catalytic activity of SBA-15-Pr-SO3H. This investigation disclosed the unique effect of FAs on the SBA-15-Pr-SO3H. -SO3H groups can be interact with silanols of surface and therefore, the catalyst activity may be decreased. We belive that, perfloroualkyl chains of FAs with a strong hydrogen bonding can interact with silanols and keep them away from availibilty of -SO3H groups. On the other hand, it can raise the acidity of -SO3H with hydrogen bonding which together can raise the catalyst activity of SBA-15-Pr-SO3H. Also, the hydrophobic nature of perfluoroalkyl chains can have a water repellency effect (Scheme 4). This effect may increase the mass transfer and decrease the catalyst poisoning by water. Wilson and co-workers  put a hydrophobic groups on the surface of silica SBA-15-Pr-SO3H to prevent from the interaction of silanols and -SO3H groups (Scheme 5). This strategy caused an increase in the catalytic activity. This hydrophobic group, octyl, also denoted a hydrophobic feature to mesochannels. Moreover, the octyl chains had no reactivity and were just as the spectator. Pirez and Wilson  used a simple method to overload the amount of MPTS loading. In this regard, they changed the solvent of MPTS functionalization, toluene, with saline. They found that by adding a small amount of NaCl (200 mg per each 1 g of SBA-15), functionalizability of MPTS remarkably increases with no self-condensation of MPTS. Therefore, they could synthesized sulfonated SBA-15 with ultrahigh capacity of -SO3H loading. This catalyst was further tested in the biodiesel production and compared the results with traditional version of SBA-15-SO3H. Karimi and Vafaeezadeh took another strategy to prevent from catalyst deactivation by water [41,50]. They found that confining a hydrophobic ionic liquid inside the SBA-15-Pr-SO3H can resolve this problem by discarding entrapped water of pores. Therefore, they confined a hydrophobic and acidic ionic liquid (IL) within SBA-15-Pr-SO3H to increase its mass transfer and hydrophobicity (Scheme 6). Moreover, this confinement causes to increase the Bronsted acid strength as a result of an acid site cooperativity mechanism. Their suggested catalytic system showed excellent catalytic performance in direct esterification of alcohols and carboxylic acids at ambient temperature under solvent-free conditions. They also successfully incorporated this efficient catalytic system in solvent-free thioacetalization of carbonyl compounds, one of the most popular methods for protecting aldehydes and ketones, at room temperature. They could be also able to recover and reuse the catalyst at least for 7 runs without a significant loss in the yield and catalyst. Erdem and coworkers  investigated the influence of polyethylene glycol (PEG) on the catalytic activity of SBA-15 in the esterification of propionic acid with methanol (Scheme 7). After sufficient studies and analyses, they found that the addition of PEG cause to enhance the surface area of mesochannels and mass transfer. It also allows to generate a stable mesoporous replicas. N-propylsulfamic acid-based precursor (SfAP) has attracted an attention in the field of catalysis not only for mesoporous silicas, also for other types of silica-based supports [52-55]. SfAP can be regarded as a strong acid which is in zwitterionic form in the absence of aqueous conditions [56,57]. Moreover, when it is supported to the surface of mesopore, it is easily separable and reusable. However, they slowly hydrolyze under the aqueous conditions in a long period of exposure, especially in either of alkali or acidic conditions, the hydrolysis time decreases . Nevertheless, its strong acidity can highlight it within organic solvents. Moreover, sometimes it can act as an ionic liquid under some conditions. It can be prepared by method 3 and 4 according to Scheme 1. Substrates for synthesis of SfAP is 3-(aminopropyl)trialkoxysilane (ATPS) and chlorosulfonic acid. Recently, we reported the synthesis and functionalization of SfAP inside the mesoporous SBA-15 (SBA-15-NHSO3H) . We found that SBA-15/NHSO3H acts as an ionic liquid-type heterogeneous catalyst and has ability to be separated easily from reaction products and recycled (Scheme 8). In this manner, we could have an ionic liquid type media with acidic nature suitable for reactions that need a strong Bronsted solid acid. To find out the reactivity, we tested it in the synthesis of dihydropyridine derivatives. To our surprise, it catalyzed the reaction in a short time, high yield and efficient recyclability. Hajjami and coworkers  prepared and studied the catalytic activity of SfAP functionalized into MCM-41 silica mesostructure (MCM-41-NHSO3H) in one-pot multicomponent synthesis of 1-amidoalkyl-2-naphtols. In their study, this one-pot condensation reaction of aromatic aldehydes, 2-naphtol and acetamide in the presence of catalytic amounts of MCM-41-Pr-SA acid under solvent-free conditions at 130 °C was carried out to produce 1-amidoalkyl-2-naphtol derivatives (Scheme 9). The yields were 35-98% in various reaction times. To obtain this solid support, they first functionalized MCM-41 with ATPS and then they sulfonated the amine groups with Cl-SO3H with triethylamine under reflux conditions (Scheme 8). HCl was evolved from reaction mixture during reaction . As mentioned in Scheme 1, amino-functionalized mesoporous silica materials can be furthered modified by SAPs such as sultones (Method 4 in Scheme 1). This method gives rise to catalyst activity by manufacturing a single site bifunctional system. Bifunctionality of acid-base systems generate a very efficient cooperative system in mesoporous materials [59-63]. For example, Recently, a research group  has developed a new single site bifunctionalized type of SASM. They first modified MCM-41 with ATPS (MCM-41-Pr-NH2) and then reacted with 1,4-butane-sultone fabricated MCM-41-NH-SO3H (Scheme 10). Afterward, this catalytic system was used to catalyze the tert-butylation of hydroquinone under microwave irradiation in which the microwave irradiation had a cooperative role. Moreover, amine and sulfonic acid with each other can also create a cooperative system. Therefore, they could produce an efficient cooperative catalytic system in the catalysis of hydroquinone tert-butylation. This catalytic system was found to be very efficient at least for 4 runs without leaching problem and loss of activity. They also compared the catalytic activity of MCM-41-NH-SO3H with catalyst free condition under the same temperature and conditions in the catalysis of tert-butylation of hydroquinone at 150 °C under microwave irradiation. In the absence of the catalyst, the conversion rate was slow and small conversion (<8%) was found/observed after 8 min of microwave treatment, while the reactant mixture in the presence of MCM-41-SO3H showed a remarkable catalytic activity. MCM-41-NH-SO3H showed a high conversion of hydroquinone (88.0%) selectivity (93.1%) to 2-tert-butylhydroquinone (2-TBHQ) after 8 min . A research group  synthesized a single site SNAP by method 3 and incorporated it in SBA-15 by co-condensation with TEOS and P123. This catalyst was further basified by tetrabutylamonium hydroxide and convert them to an ionic liquid type catalyst which showed more activity in catalysis of aldol reaction of acetone and acetophenone (Scheme 11). This catalyst had also ability to be recycled with intact yield in the reaction. The same research group synthesized another SNAP which was an ionic liquid without post-modification. In this case, they first reacted (3-triethoxysilylpropyl)-4,5-dihydroimidazole with sultone to give product. This SNAP was also synthesized by one-step approach (M3) and co-condensed with TEOS in the presence of P123 under aqueous acidic conditions (Scheme 12). Various ratios of SNAP were investigated in this work to study the changes in surface area, XRD analysis according to parent mesoporous silica, SBA-15. However, they couldn’t react the final material with H2SO4 to neutralize each of the ions with H+ and HSO4- of H2SO4. P-SANSs were first reported by Harmer and coworkers . These hybrid mesostructures have strong acidic property due to the strong interaction of fluorine atoms with -SO3H moieties. Thus, it leads to the very highly active catalysts in comparison with SANSs. However, their preparation and maintenance are major drawback. In addition, some of these PASMs are deactivated by leaching in the first run. Many precursors have been developed for the synthesis of PASMs. Grafting of the precursor 1,2,2-trifluoro-2-hydroxy-1-trifluoromethylethane sulfonic acid sultone, commercially available material, over the silica surface is one strategy to reach a PSAS, which was first reported by Harmer and coworkers. The catalytic performance of these catalysts was tested in the esterification of alcohols with long-chain aliphatic acids [39,40]. The hybrid mesoporous materials yielded twice the activity shown by the commercial Nafion silica composite and Nafion silica cogels despite the latter having higher amounts of sulfonic-acid groups. Additionally, these materials were reused repeatedly without any evidence of loss of activity, confirming the stability of the covalent bond. Harmer et al. prepared mesoporous silica-perfluorosulfonic-acid materials by a nonoxidative direct-synthesis procedure combining the advantages of the acid strength of Nafion with the excellent dispersion available with sol-gel-templated synthesis (Scheme 13). Materials were prepared by co-condensation of the corresponding silane (precursor of alkylperfluorosulfonic-acid group) and TEOS using n-dodecylamine as template. One synthesis strategy could be preparation of the corresponding organosilanes through a hydrosilylation procedure catalyzed by platinum catalysts (Scheme 13) and subsequent anchoring to the silica surface by means of co-condensation reactions or grafting method . Generally, there are two kinds of phenylsulfonic Acid-based precursors (SPhAP) for which are engaged for mesoporous silica nanostructures (Scheme 14). Of course, these precursors can be prepared by stepwise approach (Scheme 14). The length of P1 is shorter than that of P2 and hence, it has less pore blocking problems and therefore, its functionalization relatively leads to a lower poresize decrease. On the other hand, P2 has more flexibility and hydrophobicity making it suitable for some hydrophobic reactions. However, they totally seem to have relatively strong acidic feature in comparision with MTPS modified Mesostructures. Their acidic power is similar to commercial sulfonated Amberlyst-15 resins . Moreover, owing to phenyl groups, their hydrophobicity is more than SprAps and therefore mass transfer can be raised for hydrophobic reasons. Lindlar et al. reported the synthesis MCM-41-Ph-SO3H with pore diameters up to 60 Å using swelling agents. They first grafted the phenyl groups onto the silica surface and subsequently sulfonatied them with chlorosulfonic acid. Of course, in this step, free silanol groups can undergo sulfonation. Grafting of SAPs is more common than co-condensation method because when it is functionalized by co-condensation method, SDA should be removed by extraction. However, Launay and Gédéona group found that the smoother calcination procedure (200 °C) is appropriate in order to complete the removal of Pluronic P123 in the extracted sample (E). So, they prepared the co-condensed SBA-15-Ph-SO3H with calcination Pluronic P123. The authors also claimed that such calcination treatment did not alter tremendously the catalytic performances of the resulting solids. Results for both E and EC-200 materials exhibited high activities in the liquid phase condensation of 2-methylfuran with acetone and in the decomposition of cumene hydroperoxide into phenol . Cheng and coworkers  performed Beckmann rearrangement of cyclohexanone oxime to ɛ-caprolactam in liquid phase by SBA-Ph-SO3H mesoporous silica. They prepared catalysts via co-condensation of 2-(4-chlorosulfonylphenyl) ethyl-trimethoxysilane (CSPTMS) with TEOS in the presence of Pluronic 123. The catalytic activity of SBA-Ph-SO3H was also compared with other solid acid catalysts such as SBA-15-Pr-SO3H, H-ZSM-5, H-mordernite, Al-MCM-41 and Al-SBA-15. Among them, SBA-Ph-SO3H had superior activity toward Beckmann rearrangement. Agirrezabal-Telleria and coworkers studied the catalytic activity of SBA-15-Ph-SO3H synthesized via co-condensation method to dehydrate d-xylose to furfural, produced from pentosan-rich biomass, at 160 °C in 80% yield and 99% yield. Also, it showed a good reusability during each run. Thiel et al. prepared a series of bifunctionalized SASMs prepared by either of APTS and AAPTS with SPhAP and studied them in nitroaldol condensation as catalyst. They found that when bifunctionalized amine-SPhAP is prepared, it causes to form a cooperative acid-base system which raises the catalyst efficiency (Scheme 15). They also compared APTS and AAPTS functionalities in cooperative system and found that the best yields and selectivity for nitroaldol condensation were obtained by AATPS due to its secondary and primary amines. Liu et al. prepared the same system with a controllable acid-base bifunctionalized mesoporous catalyst with acidic sites and basic sites in adjacent arrangements via an in situ cleavage of sulfonamide bond on synthetic process (Scheme 16). During Knoevenagel condensation reaction of aromatic aldehydes and ethyl cyanoacetate under microwave irradiation in solid media, the bifunctionalized mesoporous catalyst Me-A/B-SBA-15 exhibited higher catalytic activity than those of the corresponding amine-functionalized catalyst and the randomly-arranged acid-base catalyst, showing obvious acid-base cooperativity. In summary, there are various types of SAPs which can be used for mesoporous silica nanomaterials. These SAPs have many catalytic applications by denoting acidic nature to solid mesoporous silicas. Depending on the reaction conditions, and by knowing the properties of SAPs, we can manufacture an efficient solid acid catalyst. In addition, they can be used as the ionic liquids. Also, sulfonate groups can be used as ligands for chelation with catalytically active metals, which are not mentioned in this review. On the other hand, these SAPs not only can be used for mesoporous silica materials, but also for other types of silica materials. S. Rostamnia, E. Doustkhah, Nanoporous-Silica Supported Organocatalyst: A heterogeneous and Green Hybrid-Catalyst in Organic Transformations, RSC Advances, 2014. S. Rostamnia, A. Zabardasti, J. Fluorine Chem. 144 (2012) 69. S. Rostamnia, F. Pourhassan, Chinese Chem. Lett. 24 (2013) 401. S. Rostamnia, H. Xin, X. Liu, K. Lamei, J. Mol. Catal. A-Chem. 374 (2013) 85. S. Rostamnia, E. Doustkhah, Tetrahedron Lett. 55 (2014) 2508. S. Rostamnia, X. Liu, D. Zheng J. Colloid Interf. Sci. S. Rostamnia, E. Doustkhah, J. Fluorine Chem. 153 (2013) 1. M.H. Lim, C.F. Blanford, Chem. Mater. 10 (1998) 467. W.M. Van Rhijn, D.E. De Vos, B.F. Sels, W.D. Bossaert, Chem. Commun. (1998) 317. W.V. Rhijn, D.D. Vos, W. Bossaert, J. Bullen, B. Wouters, P. Grobet, P. Jacobs, , in: F.B.C.D.S.G. L. Bonneviot, S. Kaliaguine (Eds. ), Sulfonic Acid Bearing Mesoporous Materials as Catalysts in Furan and Polyol DerivatizationStudies in Surface Science and Catalysis, Elsevier, 1998, pp. 183-190. I. Díaz, F. Mohino, J. Pérez-Pariente, E. Sastre, P.A. Wright, W. Zhou, in: F.F.F.D.R. A. Galarneau, J. Vedrine (Eds. ), 07-P-17-A Direct Synthesis Route to the Mesoporous Silicate SBA-2 Bearing Thiol Groups, Studies in Surface Science and Catalysis, Elsevier, 2001, pp. 252. I. Díaz, F. Mohino, E. Sastre, J. Pérez-Pariente, in: F.F.F.D.R. A. Galarneau, J. Vedrine (Eds. 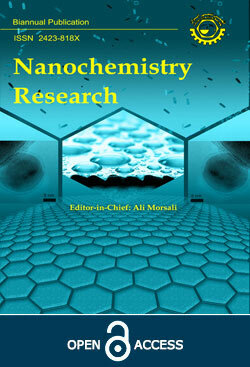 ), 08-P-10-Synthesis and Catalytic Properties of SO3H-Mesoporous Materials from Gels Containing Non-ionic Surfactants, Studies in Surface Science and Catalysis, Elsevier, 2001, pp. 285. F. Mohino, I. Díaz, J. Pérez-Pariente, E. Sastre, in: G.G.R. Aiello, F. Testa (Eds. ), Synthesis, Characterisation and Catalytic Activity of SO3H-Phenyl-MCM-41 Materials, Studies in Surface Science and Catalysis, Elsevier, 2002, pp. 1275-1282. D. Margolese, J.A. Melero, S.C. Christiansen, B.F. Chmelka, G.D. Stucky, Chem. Mater. 12 (2000) 2448. K. Wilson, A.F. Lee, D.J. Macquarrie, J.H. Clark, Appl. Catal. A-Gen. 228 (2002) 127. R. van Grieken, J.A. Melero, G. Morales, in: G.G. R. Aiello, F. Testa (Eds. ), Tailoring the Pore Size of Hexagonally Ordered Mesoporous Materials Containing acid Sulfonic GroupsStudies in Surface Science and Catalysis, Elsevier, 2002, pp. 1181-1188. M. Boveri, J. Aguilar-Pliego, J. Pérez-Pariente, E. Sastre, Catal. Today 107 (2005) 868. D. Mauder, D. Akcakayiran, S.B. Lesnichin, G.H. Findenegg, I.G. Shenderovich, J. Phys. Chem. C 113 (2009) 19185. W.D. Bossaert, D.E. De Vos, W.M. Van Rhijn, J. Bullen, P.J. Grobet, P.A. Jacobs, J. Catal. 182 (1999) 156. J.A. Melero, R. van Grieken, G. Morales, Chem. Rev. 106 (2006) 3790. J.N. Pérez-Pariente, I. Dı́az, F. Mohino, E. Sastre, Appl. Catal. A-Gen. 254 (2003) 173. G.H. Mahdavinia, H. Sepehrian, Chinese Chem. Lett. 19 (2008) 1435. D. Srinivas, L. Saikia, Catal. Surv. Asia 12 (2008) 114. M.A. Naik, D. Sachdev, A. Dubey, Catal. Commun. 11 (2010) 1148. R.V. Grieken, J.A. Melero, G. Morales, Appl. Catal. A-Gen. 289 (2005) 143. W. Zhao, P. Salame, F. Launay, A. Gédéon, Z. Hao, J. Porous Mater. 15 (2008) 139. G. Mohammadi Ziarani, S. Faramarzi, N. Lashgari, A. Badiei, J. Iran. Chem. Soc. 11 (2014) 701. G.M. Ziarani, A. Badiei, M.S. Nahad, M. Hassanzadeh, Application of SBA-Pr-SO3H in the synthesis of benzoxazole derivatives, 2012, 3 (2012). S. Sreevardhan Reddy, B. David Raju, V. Siva Kumar, A.H. Padmasri, S. Narayanan, K.S. Rama Rao, Catal. Commun. 8 (2007) 261. R.I. Kureshy, I. Ahmad, K. Pathak, N.H. Khan, S.H.R. Abdi, R.V. Jasra, Catal. Commun. 10 (2009) 572. Y. Zheng, X. Su, X. Zhang, W. Wei, Y. Sun, , in: S. Abdelhamid, J. Mietek (Eds. ), Functionalized Mesoporous SBA-15 Silica with Propylsulfonic Groups as Catalysts for Esterification of Salicylic Acid with Dimethyl Carbonate Studies in Surface Science and Catalysis, Elsevier, 2005, pp. 205-212. K. Bahrami, M.M. Khodaei, P. Fattahpour, Catal. Sci. Technol. 1 (2011) 389. D. Zareyee, B. Karimi, Tetrahedron Lett. 48 (2007) 1277. B. Karimi, D. Zareyee, Tetrahedron Lett. 46 (2005) 4661. D. Zareyee, M.A. Khalilzadeh, Int. J. Green Nanotechnol. 4 (2012) 377. D. Zareyee, M.A. Khalilzadeh, Int. J. Green Nanotechnol. 4 (2012) 289. O. Kister, F. Roessner, J. Porous Mater. 19 (2012) 119. I.K. Mbaraka, K.J. McGuire, B.H. Shanks, Ind. Eng. Chem. Res. 45 (2006) 3022. B. Tian, X. Liu, B. Tu, C. Yu, J. Fan, L. Wang, S. Xie, G.D. Stucky, D. Zhao, Nat. Mater. 2 (2003) 159. B. Karimi, A. Mobaraki, H.M. Mirzaei, D. Zareyee, H. Vali, Chem. Cat. Chem. 6 (2014) 212. B. Karimi, M. Vafaeezadeh, Chem. Commun. 48 (2012) 3327. D. Zareyee, R. Asghari, M.A. Khalilzadeh, Chinese J. Catal. 32 (2011) 1864. M. Park, S. Park, M. Selvaraj, I. Kim, C.-S. Ha, J. Porous Mater. 18 (2011) 217. I. Dı́az, C. Márquez-Alvarez, F. Mohino, J.N. Pérez-Pariente, E. Sastre, J. Catal. 193 (2000) 283. B. Karimi, D. Zareyee, Org. Lett. 10 (2008) 3989. S. Rostamnia, E. Doustkhah, RSC Advances 4 (2014) 28238. S. Rostamnia, E. Doustkhah, Activity Enhancement of SBA-15 Functionalized Sulfonic Acid Through Fluoroalkyl Chains Alcohols (RFOH/SBA-15/SO3H), 2014, submitted. J.-P. Dacquin, H.E. Cross, D.R. Brown, T. Duren, J.J. Williams, A.F. Lee, K. Wilson, Green Chem. 12 (2010) 1383. C. Pirez, A.F. Lee, J.C. Manayil, C.M.A. Parlett, K. Wilson, Green Chem. 16 (2014) 4506. B. Karimi, M. Vafaeezadeh, RSC Advances 3 (2013) 23207. B. Erdem, S. Erdem, R. Öksüzoğlu, A. Çıtak, J. Porous Mater. 20 (2013) 1041. A. Rostami, B. Tahmasbi, H. Gholami, H. Taymorian, Chinese Chem. Lett. 24 (2013) 211. K. Niknam, N. Jafarpour, E. Niknam, Chinese Chem. Lett. 22 (2011) 69. S.R. Jetti, A. Bhatewara, T. Kadre, S. Jain, Chinese Chem. Lett. 25 (2014) 469. M. Hajjami, F. Ghorbani, F. Bakhti, Appl. Catal. A- Gen. 470 (2014) 303. L.B. Clapp, J. Chem. Educ. 20 (1943) 189. R. Sass, Acta Crystallogr. 13 (1960) 320. S. Rostamnia, A. Hassankhani, Covalently Bonded Ionic Liquid-Type Sulfamic Acid onto SBA-15: SBA-15/NHSO3H as a Highly Active, Reusable, and Selective Green Catalyst for Solvent-Free Synthesis of Polyhydroquinolines and Dihydropyridines, Synlett. S. Shylesh, A. Wagner, A. Seifert, S. Ernst, W.R. Thiel, Chem. A Eur. J. 15 (2009) 7052. S. Huh, H.-T. Chen, J.W. Wiench, M. Pruski, V.S.Y. Lin, Angew. Chem. Int. Edit. 44 (2005) 1826. W.-H. Peng, Y.-Y. Lee, C. Wu, K.C.W. Wu, J. Mater. Chem. 22 (2012) 23181. A. Kuschel, M. Drescher, T. Kuschel, S. Polarz, Chem. Mater. 22 (2010) 1472. M. Colilla, I. Izquierdo-Barba, S. Sánchez-Salcedo, J.L.G. Fierro, J.L. Hueso, M. Vallet-Regí, Chem. Mater. 22 (2010) 6459. E.-P. Ng, S.N. Mohd Subari, O. Marie, R.R. Mukti, J.-C. Juan, Appl. Catal. A-Gen. 450 (2013) 34. M. Yang, F. Xu, C. Wang, X. Liu, P. Yan, P. Li, U. Welz-Biermann, Eur. J. Inorg. Chem. 2012 (2012) 4500.